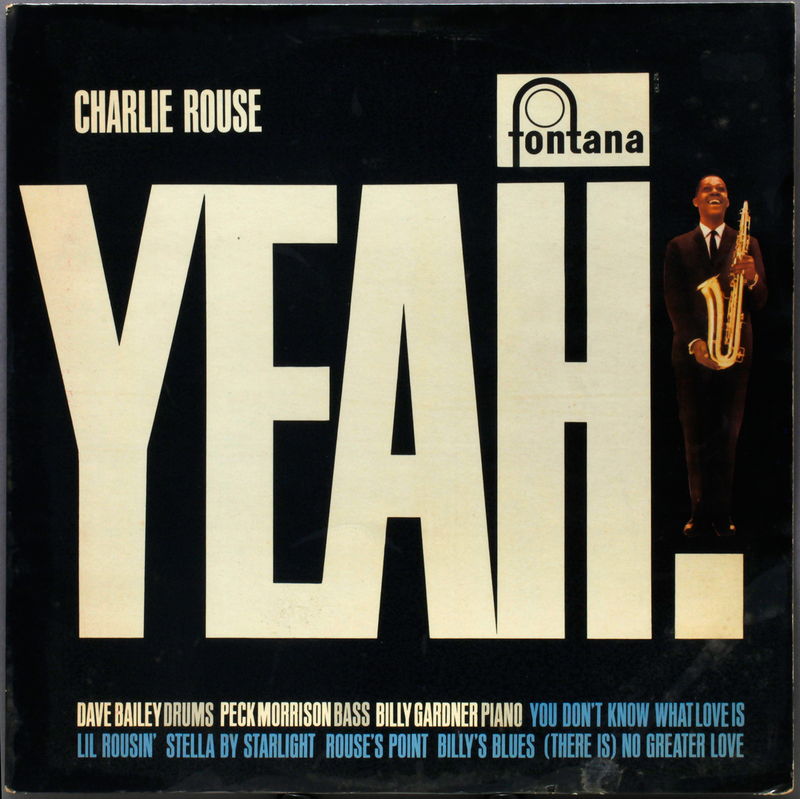 The ever-eloquent “AllMusic” say: “Rouse is best known for his work with Thelonious Monk during his Columbia years from 1959 until 1970. Rouse’s sound with Monk was so fluid and smooth that’s it’s easy to forget how many eccentric, jagged turns he had to navigate night after night, and that Rouse did it with quiet, steady grace is a testament both to his sax playing and to the space Monk built into his puzzle box compositions“. Eloquent, that. Pressed in England by Philips, under their Fontana label. Epic is not noted for jazz releases, at least not by me, so the original engineering an unknown quantity. Sounds pretty good though. Philips pressing for their own label I have found sometimes disappointing, Mingus Ah Um, as an example, but their Fontana pressings are always really solid. There is probably a reason for this, but finding out why might have to wait until the next life.No doubt there is a named model of microphone involved at some point. 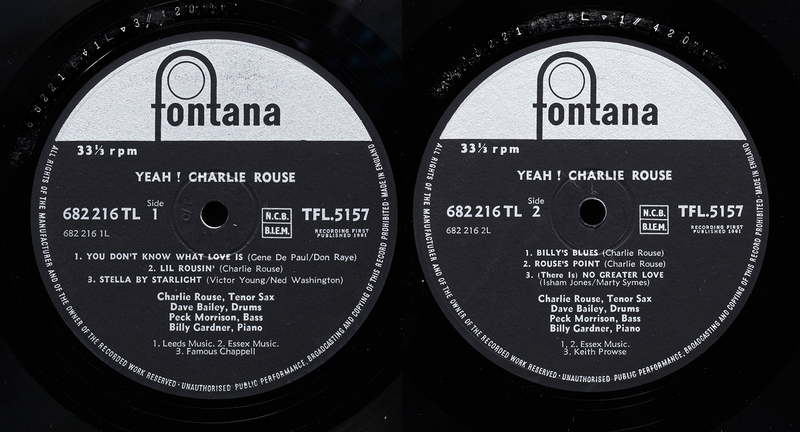 I have liked Charlie Rouse’s tenor ever since I first noted him co-leading with Sahib Shihab on the rarest of rare “Soul Mates” album from 1988 – probably one of my most-played CDs as I can’t seem to find it for love nor money on vinyl. Yeah! is another. I have been chasing it for some time, but it seems to inhabit a price bracket much higher than its peers. A recent eBay search turned up 2 CDs and no original vinyl anywhere in the world, so I assume its price reflects relative scarcity. Eventually a copy turned up on a ” buy now or make an offer”, however in a more sensible price range than when last I saw it in a record shop at three figures. 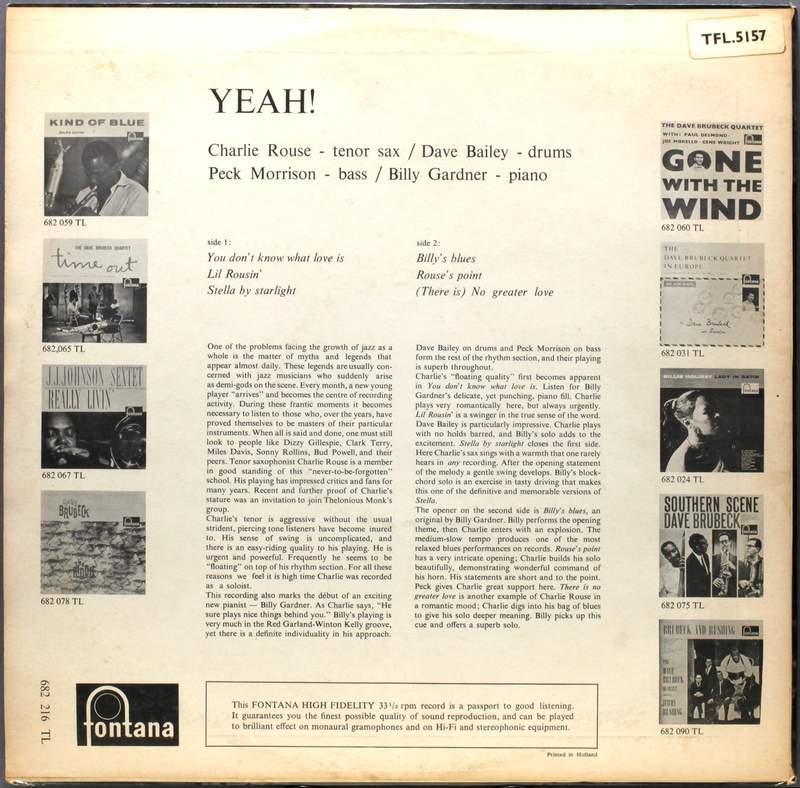 This entry was posted in Charlie Rouse, Epic and tagged Billy Gardner, Charlie Rouse, Dave Bailey, Peck Morrison by LondonJazzCollector. Bookmark the permalink. Here I go again!!! This is another of my favorites, a monster of a record. It gets your toes tappin’, your fingers snappin’ and makes you wanna go and say Yeaaahhh!!! !